The new agreement could be both, as it shifts much of China’s coal production outside its borders and helps Mongolia pay down billions of dollars in debt. Mongolia recently reached a new deal to sell coal to China, helping it boost its faltering economy and start repaying billions of dollars it owes Wall Street lenders. Under the landmark agreement completed late last year, Mongolia’s state-owned mining company will sell coal to China at roughly double the previously agreed-upon rate. The deal follows a devastating four-year period when Mongolian miners exported coal to China at deeply-discounted prices, sometimes for as little as 11% of the global benchmark price, undercutting Mongolia’s economic growth. Mongolia agreed to those punitive terms to get the loan from China and has been struggling to repay it. 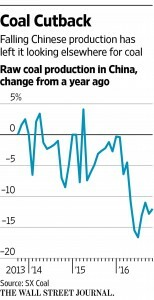 That means worsening environmental damage is nearly certain in Mongolia, as its coal output ramps up, analysts say. Mongolia’s arid climate has been getting drier, in part because mining activities require large amounts of water. Dry conditions have been driving more of the population to the capital, Ulaanbaatar, where people commonly burn coal to stay warm. 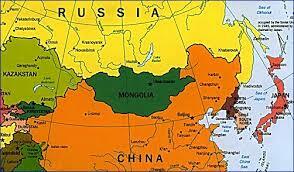 China-Mongolia Mining Deal: Economic Windfall or Environmental Threat?